The next meeting of the 2018-2019 session is the May Main Meeting, to be held on Friday the 3rd of May 2019 starting at 7:30pm. The subject is When Galaxies Collide! - Dr Megan Argo (University of Central Lancashire). The talk is at the usual location of West Berkshire Mencap Centre in Newbury, off Enbourne Road. (click here for a map and further details of the session's meetings). If you wish to be a member of the society for this season and haven't completed your membership form yet, please complete a copy and bring it with you to the meeting. We also offer an ICS Calendar file of all the meetings (main & beginners) of the session to add to your phone or email client — click here to download. From Richard Fleet on Vimeo. 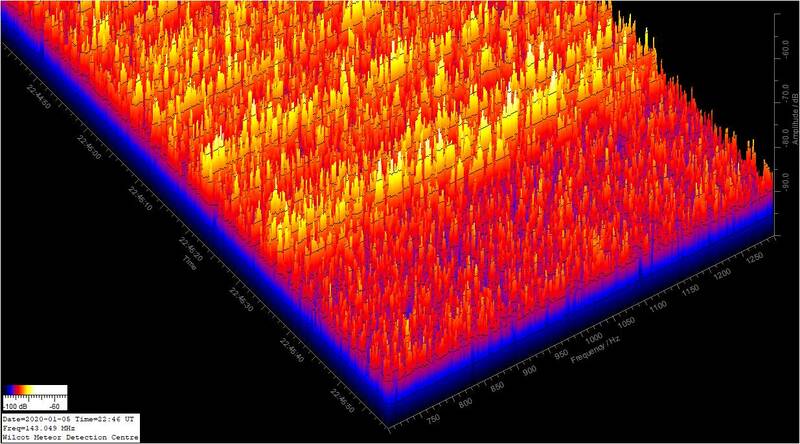 This is a 3D radio image. If you want to see more, follow this link to other feeds in the S.P.A.M. network. 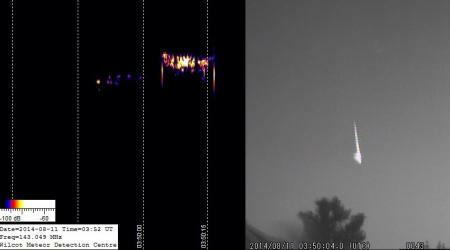 Find out about observing meteors using low-light video cameras and radio reflection.